I have just acquired the "must-have" 2106 biography of Robespierre by Hervé Leuwers. . Since there is no translation yet, and hardly even a book review in English, I thought a I would translate this interview which I found (from the website of the newspaper L'Humanité). 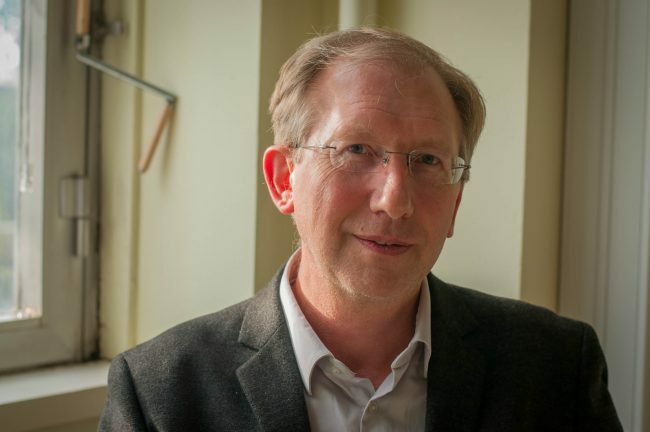 Hervé Leuwers teaches at the University of Lille III, and has written widely on French legal history. He is chief editor of the Annales historiques de la Révolution française. The initial inspiration for the book was the availability of new archive resources, in particular, unedited judicial memoirs which shed new light on Robespierre's career as a lawyer in Arras. I also felt that it was time for a new approach. I wanted to avoid the reduction of Robespierre's life to the years 1793-4 and to recover his identity as "a man of the 18th century". Do you condemn retrospective analysis? Absolutely - "Too many portraits of Robespierre, particularly in the 2000s, were retrospective portraits. They started from the principle that Robespierre was the incarnation of the "Terror" and tried to understand how he arrived there." They detailed his frustrated ambition, political humiliation, psychological coldness etc. This type of a priori construct, began as early as the time of the Constituent Assembly [as Jean-Clément Martin shows in his Robespierre: la fabrication d'un monstre, 2016]. Have all Robespierre's biographers done this? No. Some of the best biographies are in English - notably Peter McPhee; also Norman Hampson's The Life and Opinions of Maximilien Robespierre (1974). In French, there is the classic biography by Gérard Walter; also Henri Guillemin (1987) who emphasised the religious dimension of Robespierre's thought. How would you characterise the early Robespierre? The Arras lawyer favoured new ideas and believed in progress. One of his favourite targets was what he termed "prejudices" - exclusion of women from the Academies, inequality before the law, discrimination against illegitimate children, lettres de cachet... Robespierre was a man of the Enlightenment; he was not just a lawyer, he saw himself as an homme de lettres and he participated in Academic competitions. He showed that same commitment to the Enlightenment in his legal work. Once of his first cases concerned a lightning conductor at Saint-Omer (1783) which had been taken down because it was feared it would cause a fire. In defence of the owner, Robespierre employed all his adversarial skills, which bore the strong mark of his Parisian education. In Arras his style astonished and pleased. His legal speeches have not been edited. However, his pleas, which drew applause in the national press, reveal an excellent orator and able defender of the Enlightenment. He had an ability to formulate an issue and knew how to draw in the judges to see his point of view. In the lightning conductor case he argued forcefully that the lightning conductor needed to be authorised for the honour of the magistrature, of science and of Artois and that to forbid it would be to invite ridicule ....He won. The case, which was also defended in writing by his friend Buissart, was included in the collection of Causes célèbres published by Des Essarts. As a result, Robespierre acquired other high-profile cases. Was there a political, even revolutionary agenda? When Robespierre began his legal career the mobilisation of public opinion against judicial error in the cases of Calas and Silven was still fresh in people's minds. Following on from Voltaire, Elie de Beaumont and Servan, a campaign for judicial reform had been launched. Robespierre participated in this by undertaking the defence of "oppressed innocence". Robespierre, like many others, believed in reform. He was aware that he lived in turbulent times and occasionally referred to the revolutions which had recently taken place in America and, unsuccessfully, in the United Provinces. At certain points his judicial and academic goals coincided with those of the revolutionaries abroad, but he certainly did not call for an insurrection in France. Up until 1789 he expressed his trust in Louis XVI and hoped that the monarch would bring about the triumph in France of the ideals of liberty, happiness and justice. When did Robespierre discover Jean-Jacques Rousseau? It is difficult, from the existing documents, to determine this precisely. However, there were two separate aspects to Robespierre's engagement. The first was with Rousseau's political thought. As a jurist Robespierre was influenced by Montesquieu, but his attachment to Rousseau was more profound and more emotionally committed. In his writings, there are numerous references to The Social Contract. Nonetheless, Robespierre was not an uncritical "Rousseauist"; he adapted Rousseau's ideas to the conditions of the time. During the Revolution he rejected Rousseau's contention that democracy was a form of government "for the gods", and entertained the possibility of political representation. Also, unlike Rousseau, he did not consider that atheists should be rejected from society, even though he too saw belief in a Supreme Being as essential to "public virtue". There was also a second manner in which Rousseau influenced him. The Rousseau which Robespierre admired was not just the writer of The Social Contract, but also of the Reveries and the Confessions. Robespierre had read the posthumous works of Rousseau, which had given birth to a new genre of introspective autobiography. He was touched by Rousseau's sensibility. When Robespierre the Revolutionary talks about himself, surveys his career, he sometimes seems to be attempting a sort of biography à la Rousseau, repeatedly affirming his sensibility to the fate of the "people". Who was the second Robespierre, the young deputy? Firstly he was a man with a particularly sharp sense of politics. There were few individuals in the run up to the convocation of the Estates General who participated in debates with as much conviction and with such well-formulated ideas. He was not the only one to enter into the political arena in Arras in the spring of 1789, but he was one of the most determined. As a lawyer of reputation, an member of the town Academy and of the Rosati, his stance counted: and he took up positions hostile to the nobility, the municipality and the provincial Estates. He was one of those who wanted the Third Estate to be represented without the mediation of traditional corporate bodies. Since the political battle was acute in Artois, the deputies from the province, like those of Brittany and Provence, were thought of in Versailles as being particularly "patriotic". From the time of his election, Robespierre was convinced he must live the Revolution. His political maturity was recognised by his contemporaries: According to the Mercure national in April 1790, he was a man in matters of liberty, whereas many citizens were only children. The Mercure also referred to to his political opinions which were shared by only a minority of deputies. He wished to extend full citizenship to all, including the right to vote and membership of the National Guard. It was not possible to go backwards; those who had already taken part in the elections to the Estates General could not be disenfranchised; though he did not advocate the vote for women, he thought that it should be the right of all adult men. He demanded, and obtained, full citizenship for Protestants, Jews and actors. He defended free people of colour in the colonies, denounced slavery, condemned the death penalty..... "The people" was central to his agenda; as Robespierre himself was aware, the word was ambiguous. Many deputies reproached him for his support of popular action on 14th July and in October 1789. Robespierre's political choices were considered dangerous: he supported insurrection in the countryside against seigneurial dues, and in the army against noble officers. Although his campaigns against slavery or the death penalty have been validated by history, they were perceived at the time as irresponsible. There is nothing paradoxical in this; many deputies wanted to bring the Revolution to a rapid conclusion and saw Robespierre as encouraging disorder. He wanted to remain faithful to his election undertakings and persisted, for example, in his demand for universal male suffrage. However, once the Constitution was accepted, he gave his support, not because he approved of it totally, but because he was committed to the Declaration of the Rights of Man and the Citizen which preceded it. For him the Declaration provided a weapon with which to fight for the complete realisation of the promises of summer 1789. And in your view this was the time that saw the birth of the "black legend" of Robespierre? Yes - there is no need to wait until after his death to trace the emergence of the legend; its construction began under the Constituent, long before the Terror. Thus a letter from Arras dated April 1790 refers to Robespierre as a monster who "has neither faith, law nor religion and whose spirit breaths only blood and destruction".... At the same time, notably at the Jacobin Club, he impressed audiences with his oratory, his disinterest, his energy; witnesses testifed that he brought tears to the eyes of his hearers. Thus for some he was an "Incorruptible" and for others already a "Monster"..
And it was from the beginning of the Revolution that Robespierre took his position in the debate which led to the abolition of slavery in 1794? Robespierre rejected slavery from the time of the Constituent Assembly. He was not a member of the Société des Amis des noirs but he shared its position. In May 1791 he spoke in support of the citizenship of "freemen of colour" in the colonies. Three years later he did not take part personally in the debate on the abolition of slavery but he certainly approved the measure. You show that Robespierre did not act alone in his conflicts? Indeed. Others always thought and acted with him. In the Constituent Assembly about a hundred of the 1,200 members could be considered as democrats, among them Robespierre, the abbé Grégoire, Pétion. They did not form a party, but united to fight particular issues; Robespierre followed this same strategy in the Jacobins at the time of the Legislative Assembly and later in the Convention. Thus in the Constituent he formed not only his political ideas, but the tactics he would later use to defend them. The Robespierre of the Terror cannot be understood without evoking this Robespierre of the early Revolution. Here, also translated and summarised, a review from the Annales historiques de la Révolution française by Jean Bart. Though conscious of the difficulties of biography, "the most subjective" of all historical exercises, Hervé Leuwers seeks to move away from partisan debate. His approach is characterised by its methodological rigour. He has taken account of new sources: the eleven volumes of Oeuvres reedited in 2011 by the SER, also the manuscripts acquired by the State in 2011. In addition he has utilised neglected documents in both private and public collections, for example the correspondence of Robespierre's colleague in the Academy of Arras, Ferdinand Dubois de Fosseux (Departmental Archives of the Pas-de-Calais) or the Marzet Collection of judicial memoirs in Paris. The work is divided into twenty chronological but thematic sequences, interspersed with illustrative passages from the sources: the 1783 In praise of the tart (p.37-8) reveals the young Maximilien's humour; the pen portrait by Dubois-Crancé (p.169-70) shows Robespierre's growing reputation at the end of 1791; notes on "the virtues of the Brutuses" (p.311-2) demonstrate his continued reference to classical precedents. Hervé Leuwers devotes a quarter of his text to the hitherto neglected pre-Revolutionary period. He shows how Robespierre's education and legal career informed his later attitudes and opinions. He exposes certain myths, for instance the famous schoolboy oration before Louis XVI which almost certainly did not take place. 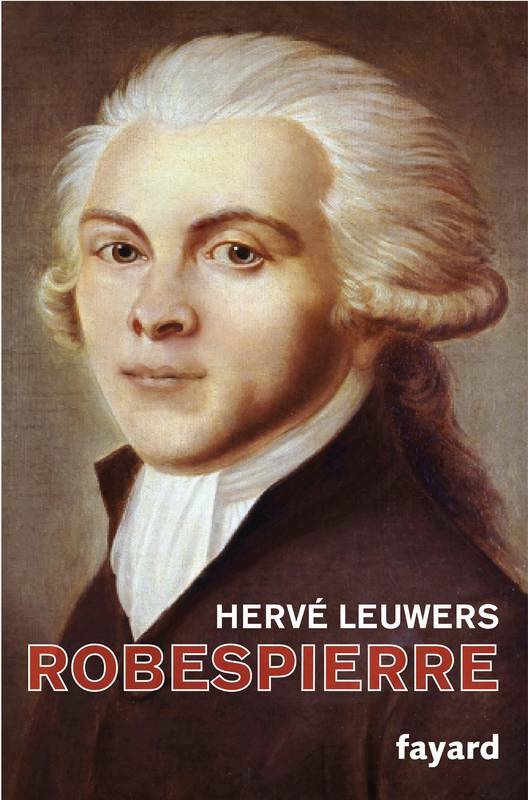 Leuwers emphasises the talent and conviction with which Robespierre pursued his legal career in Arras. He pleaded influential cases - notably the lightning conductor case - and established his reputation as an orator. His speeches were printed. He became an avocat-homme de lettres, member of the local Academy and, in 1784, won a prize from the Academy of Metz for his memoir on the collective responsibility of families of condemned criminals; his demand for suppression of confiscation of goods as a penalty placed him in the vanguard of enlightened legal reform. In the following years, he held office in the Academy of Arras, where he pronounced an influential discourse on improving the lot of bastards. His professional life likewise gave him the chance to express new ideas and to champion the disadvantaged; thus the Dupond case, in which he denounced lettres-de-cachet and arbitrary imprisonment. Not long afterwards Robespierre was elected to the Assembly. Even if his name was frequently mistaken - Robert, Robert-Pierre, Robesse-Pierre....- he quickly gained a reputation as defender of the people. He was considered a fervent patriot, who, according to the famous dictim of Mirabeau, "will go far, since he believes what he says". He welcomed the popular insurrection of October which brought the King back to Paris and spoke frequently in the Constituent Assembly, notably in support of universal male suffrage. His discourses were printed. By Spring 1791 he had gained the epithet "the Incorruptible". Hervé Leuwers often corrects a date or challenges a received interpretation. For instance he exposes as a forgery a pamphlet which has often been credited, in which Robespierre calls for the death of the King after the flight to Varennes. After the massacre of the Champs-de-Mars, Robespierre, already accused of aspiring to dictatorship, turned to the Jacobins as his main forum; here he "could be himself, lively, pugnacious and without concession." However, once the Constitution was voted, he supported it. Hervé Leuwers gives a fine analysis of his opposition to the war. He cites one of the manuscripts recently acquired by the Archives nationales: "Let us fight the people's war not that of kings" ("Fesons la guerre du peuple et non celle des rois"). Likewise he traces the nuances of Robespierre's responses to a series of key situations - the September Massacres, the execution of Louis XVI, the opposition of Girondins and Montagnards; the conflicting claims of freedom of trade in grain and the fight against hoarders. He offers a new reading of Robespierre's speech of 5th February 1794 (17 pluviôse Year II) on the relation of virtue and terror. The final months and days of the Incorruptable are recounted with careful fidelity to the sources and acknowledgment of the lacunae. However, Leuwers is clear in his refutation of the idea that Thermidor put an end to the Terror. A scrupulous professional historian, Hervé Leuwer resists both psychological interpretations and the dubious speculations that have surrounded the Tussaud deathmask. He provides a major contribution to the renewal of Robespierre studies. Jean Bart, « Hervé Leuwers, Robespierre », Annales historiques de la Révolution française, 380 2015, 183-6. It's a lovely book! I got it last year, too! Am hoping to meet Hervé next month in Arras.